July 4 is nearly here! Like all summer celebrations, July 4 can be tricky terrain to navigate if you're trying to eat healthy or even lose weight. Whether you're hosting the get-together yourself or taking a dish to a potluck event, try one of our favorite strategies for eating right anytime, anywhere: Make sure you have plenty of healthy options. In this case, plan ahead and prepare healthy side dishes for a sure-fire way to lighten your summer. For this month’s featured recipe we chose our Island Style Potato Mac Salad because it satisfies a craving for one of America's favorite July 4 and barbecue sides -- potato salad -- while still keeping it light enough for anyone who is counting calories or watching their weight. 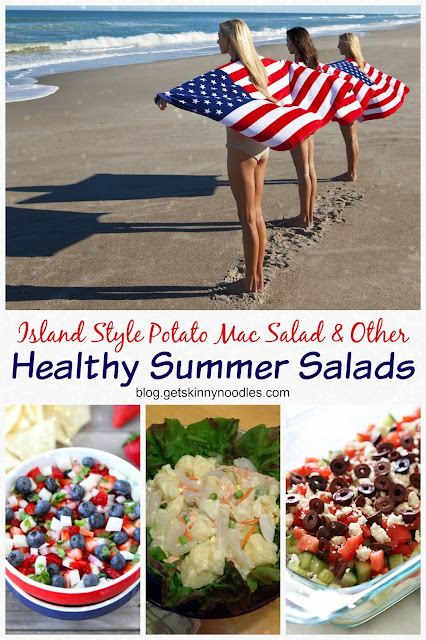 Using shirataki noodles instead of traditional, carb-heavy and calorie-laden pasta, our healthy potato salad recipe with island flair is just as tasty as any regular version but has only a fraction of the calories and carbohydrates. Rinse and drain Skinny Noodles Macaroni, microwave on high for 1 minute. Drain liquid and set aside to cool. Cook potatoes until fork-tender; drain, set aside to cool. 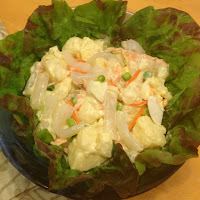 In a separate bowl combine egg, onions, carrot, peas (if desired), mayonnaise and mustard. Fold in cooled potatoes and Skinny Noodles Macaroni. Mix in salt and pepper to taste; cover and refrigerate for a couple of hours. May require more salt. Serve chilled. 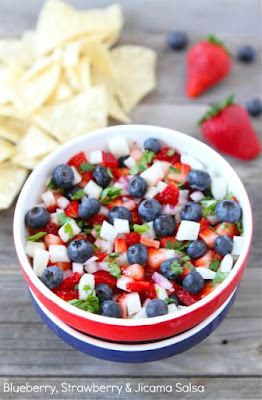 Who could resist this festive salsa? 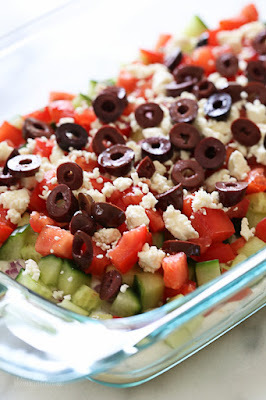 Did someone say Greek dip? Opa!